Damage 6 + extra damage from weapon. 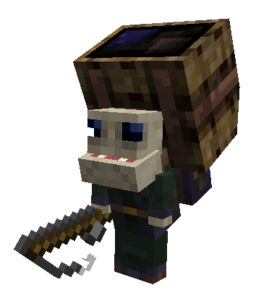 (so trading a Diamond Block would be somewhat a waste). Different types of Pech will give different types of items, for example, a Mage Pech will sometimes give a Wand Focus: Pech's Curse. The Pech mage may drop its wand with the Pech's Curse focus on death, and offers Knowledge Fragments the most often of the three types as trades. A Forager Pech may trade Silverwood Saplings. "These strange humanoids can be found wherever the veil between worlds is at its thinnest. They seem drawn to the magical energies that abound in such places. Don't let their small stature fool you. They have incredible strength and can carry many times their own bodyweight. Pech are normally not aggressive, but when riled up they will band together and hunt down their attacker. Under normal conditions they avoid people at all costs. Pechs are notoriously avaricious, and will loot anything not nailed down, though they prefer precious things. It is said that if you feed this desire for material wealth it could be possible to befriend one. Once befriended they often carry wondrous objects that they might be willing to part with. It should be noted that such 'friendships' seldom last long." This page was last modified on 30 June 2016, at 19:47.